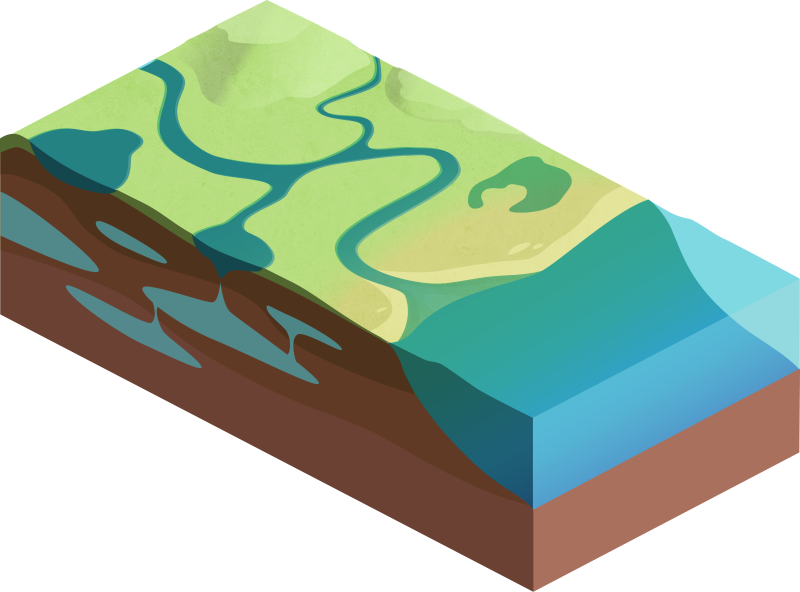 Illustration of bodies of water and landforms in a typical Florida environment. It can be used, along with other graphics in the Water Cycle Animation Graphics gallery, to create animations of the water cycle. The background is transparent. WARNING: You are about to download a 5.8 MB TIFF!